Greyhound says it must comply with federal law and allow Border Patrol agents to board buses when they ask to do so. He was a 12-year Miami resident originally from Trinidad, taken off a Greyhound bus in Fort Lauderdale, Florida, by U.S. Border Patrol agents in January. She was a 60-something Jamaican national who had just met her granddaughter for the first time, whose Greyhound was stopped by Border Patrol. She was arrested and turned over to Immigration and Customs Enforcement. And on the other side of the country, they were an undocumented father and son riding a Greyhound from Seattle to Montana when agents came aboard and asked, "Are you illegal?" "Do you have your documents?" The son, a DACA recipient traveling without his papers, was held for a few hours. The father was sent to a detention center. It is here - between the rows of seats on Greyhound buses and at stations across the country - that America's policies and fraught divisions over immigration are also playing out. The private bus line says it is caught in the middle of an ugly issue beyond its control. ACLU lawyers claim border patrol agents regularly board buses in Bangor without warrants to question travelers on their immigration status. But legislators and justice groups argue that by allowing Border Patrol to conduct the immigration checks, Greyhound exposes its passengers to violations of their constitutional rights to be free from racial profiling, harassment and warrantless searches and seizures. They say it is up to Greyhound - which serves 18 million passengers yearly across 3,800 destinations - and other massive transportation companies to pick a side. 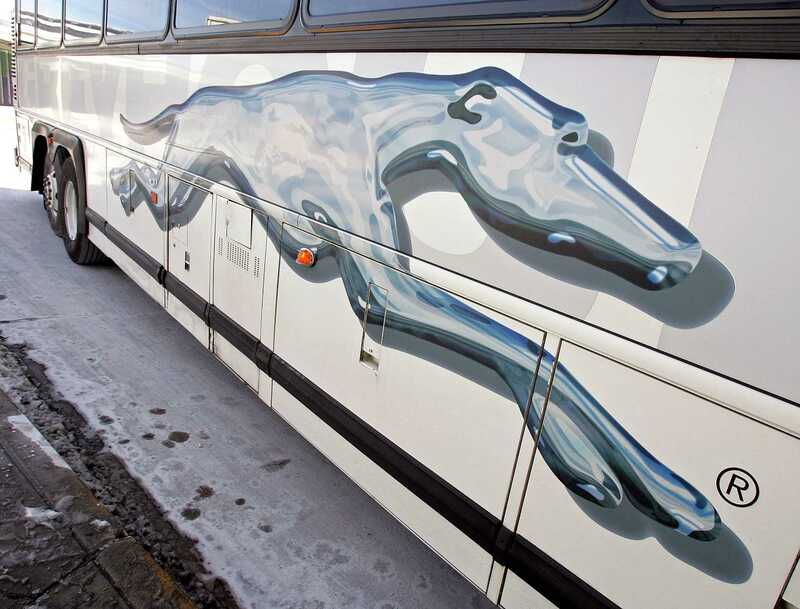 Others predict Greyhound's reputation could take a hit at a time when customers expect businesses to take a stand in social and political debates.